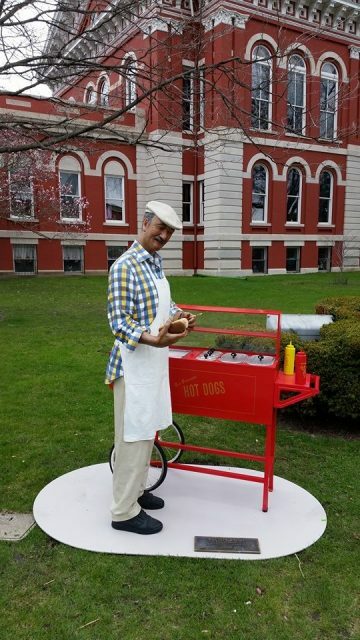 For the second summer in a row Crown Point, Indiana, has brought in Seward Johnson statues that are on display in various parts of the city. 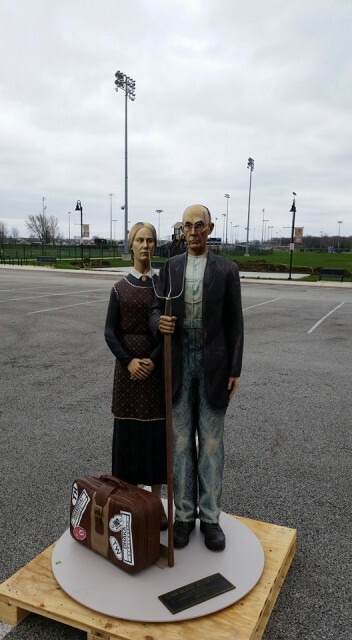 Crown Point, Indiana, population 27,317, is situated 40 miles SE of the Chicago loop and about 20 miles South of Lake Michigan. 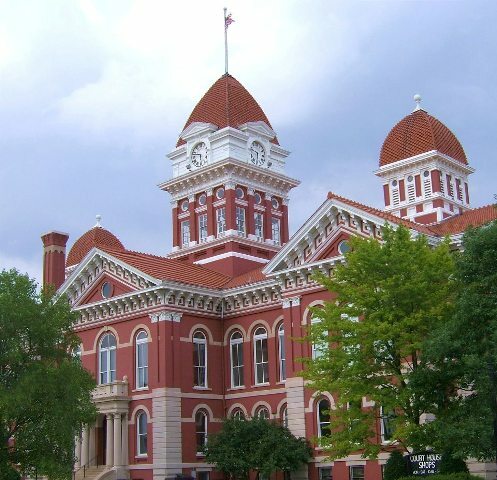 Crown Point is the Lake County seat known as the Hub City. 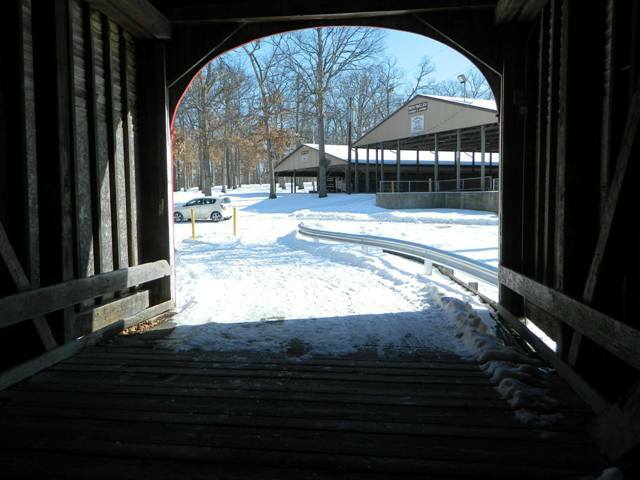 It is known for its beautiful court house square, quaint antique shops, and covered bridge located in the county fairgrounds. It was from this county’s jail that famed gangster John Dillinger made his daring escape with a so called pistol made out of a bar of soap, although many claim that his gun was real. The feature film, Public Enemies, starring Johnny Depp was filmed there in 2008, which caused quite a stir in this quiet community. Crown Point is also the home of what was known as the “marriage mill” where famous people such as Rudolph Valentino and Cassius Clay, among others, came to get married because there was no waiting period for those who just couldn’t wait one minute longer. 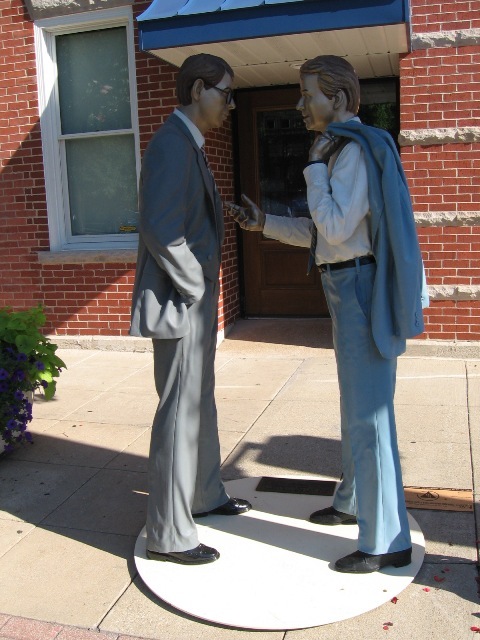 Last summer the city contacted The Seward Johnson Company to have eleven statues brought in to be displayed in various parts of the city. 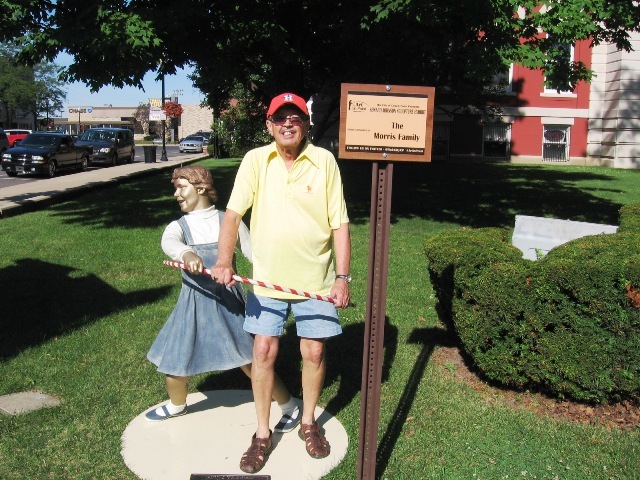 Each brightly-colored, bronze statue is sponsored for three months by a businesses or organization at a cost of $2,250. 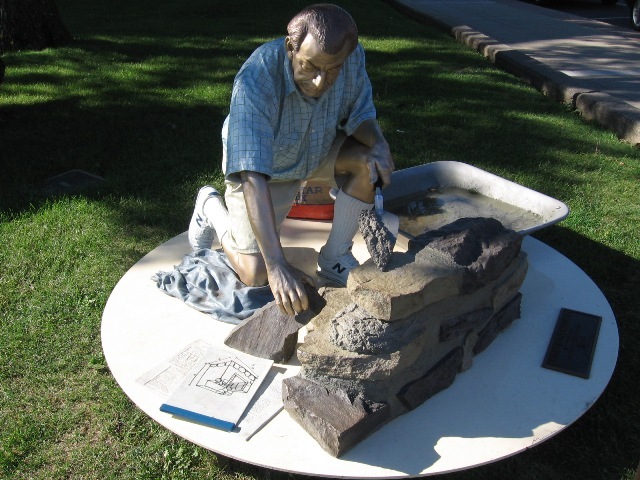 This art project went over so well, that the city did it again. 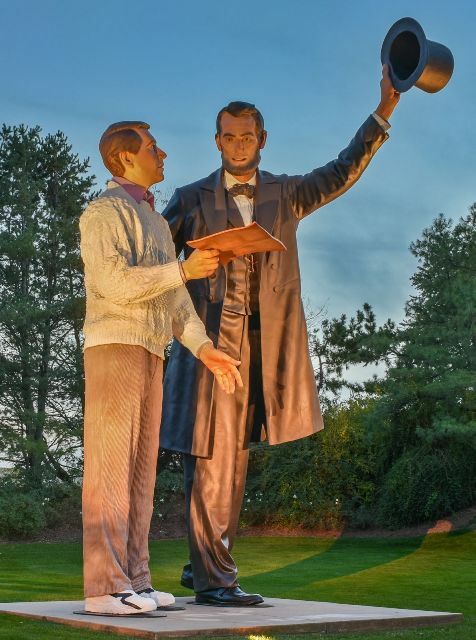 Twelve new statues were installed early in April of 2016, with the main attraction being a 40-foot statue of Abraham Lincoln. I was fortunate to see these in person last year and plan on returning this year to see the new ones. I hope you enjoy them as much as I did. ← You’re Invited to the Big Event!